Sun on Signboard Point, Tandy Inlet, Smith Harbour. Giants Archway and Chapel Rock above. Flowering southern Rata (Metrodsideros Umbellata). 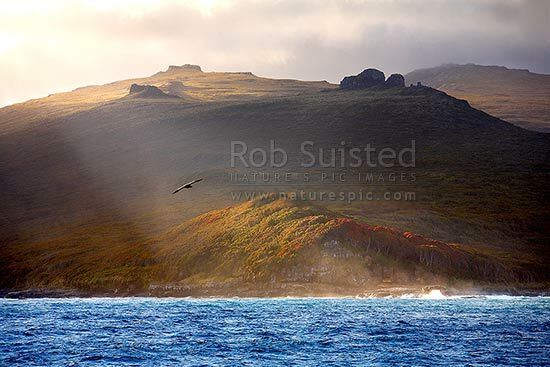 World Heritage site, Auckland Islands, NZ Sub Antarctic District, NZ Sub Antarctic Region, New Zealand (NZ), stock photo.